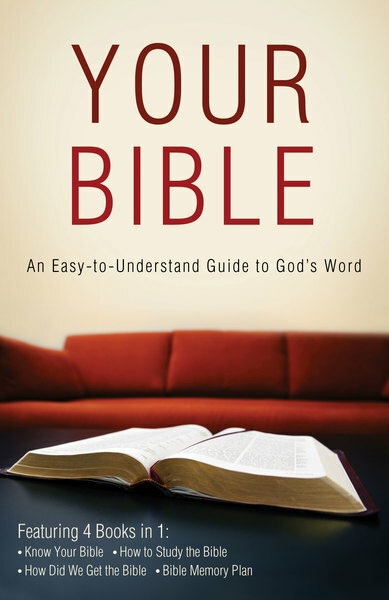 To really understand scripture, read Your Bible—An Easy-to-Understand Guide to God’s Word. It’s a collection of four bestselling titles that make the Bible clear! Inside, you’ll find Know Your Bible (1.7 million copies sold), a Genesis-to-Revelation overview; How to Study the Bible (700,000 copies sold), a helpful guide to personal Bible study; How Did We Get the Bible, explaining both the original text and translations over time; and Bible Memory Plan, to help you hide God’s Word in your heart. This powerful book will start you on a journey of understanding that can truly change your life!